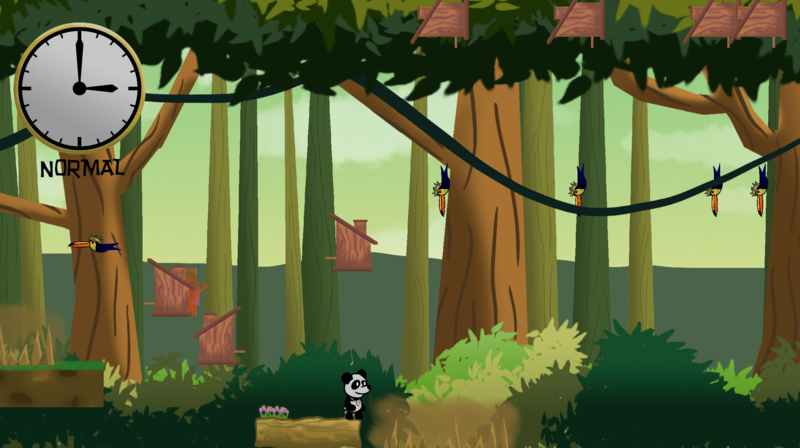 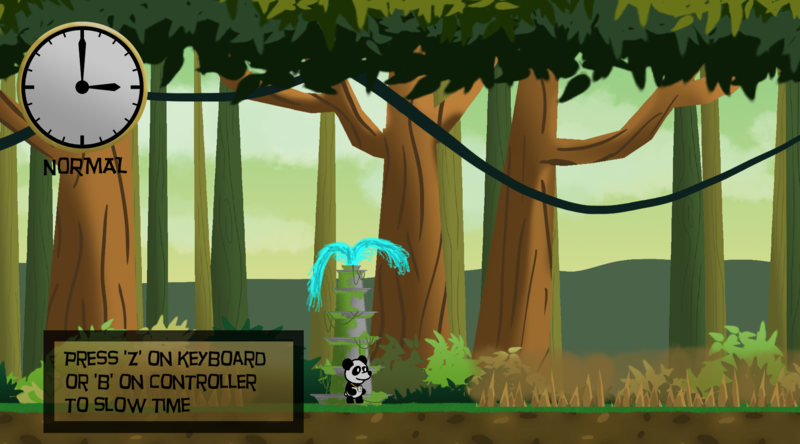 Time Panda is a 2D platformer. 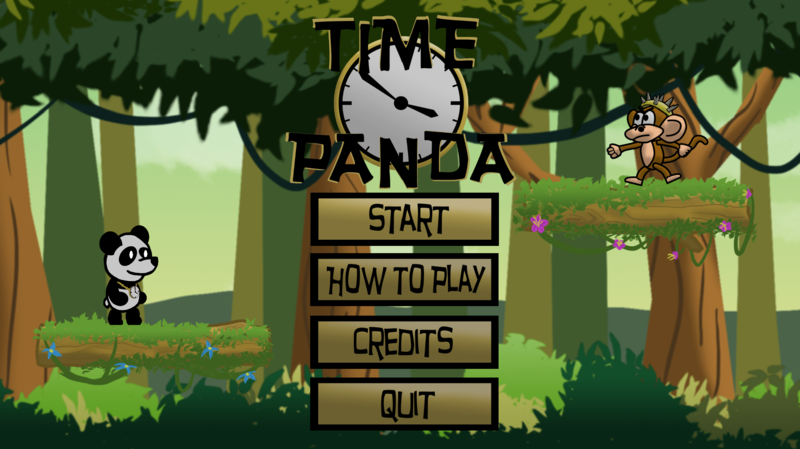 You play as a panda that has the power to slow time. 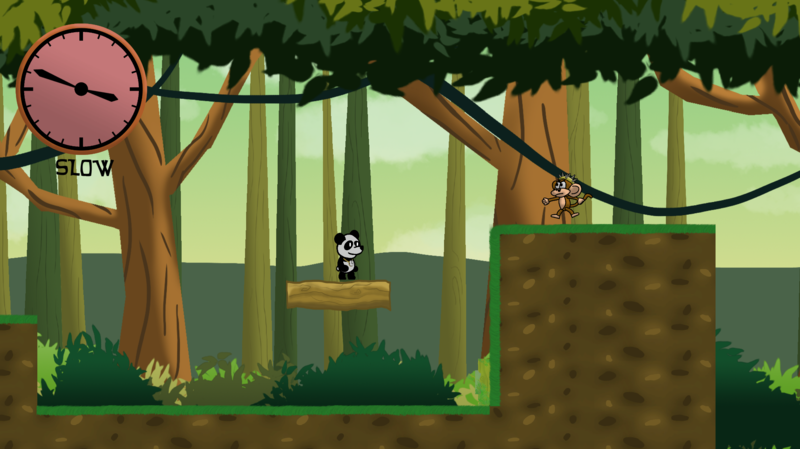 Use this ability to overcome obstacles and reach the other side of the jungle!